MIDAS, one of the world’s leading console manufacturers, has today released its much-anticipated Firmware and Application Software Update, V 3.0, for its award-winning M Series. 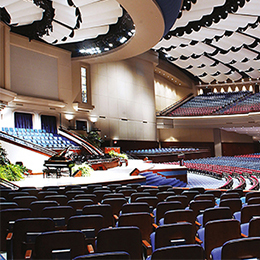 Major performance enhancements now await users of the esteemed M32, M32R and M32C digital platforms. 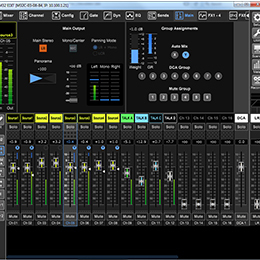 With strong focus on networked system control, MIDAS has gone the extra mile for the milestone update by including new versions of all of its remote control apps, M32-Edit and M32-Mix for all platforms with this consolidated 3.0 release. X-Over filter options for Main LR and Mono/Center bus EQ, new Ethernet or MIDI remote control from compatible control surfaces, providing physical controls for distant mixers, such as M32C. 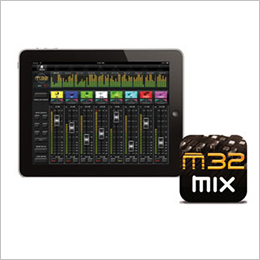 The new M32-Mix for iPad;and M32-EDIT for Win/Mac OSX/Linux/RPi2 feature a completely redesigned touch-optimised and scalable user interface with keyboard shortcuts for fast, elegant operation. 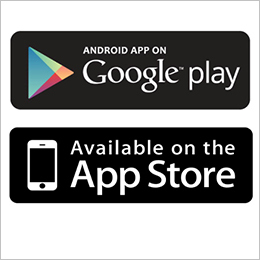 With huge functionality and customisation of workflows, the Apps offer everything on virtually any available platform! The MIDAS M32 firmware update 3.0 and the new M32-Edit app are available for immediate download at midasconsoles.com.The new M32-Mix app is available for immediate download in the Apple App Store.A compatible MixingStation App from developer David Schumann is available in the Android Google Play Store.